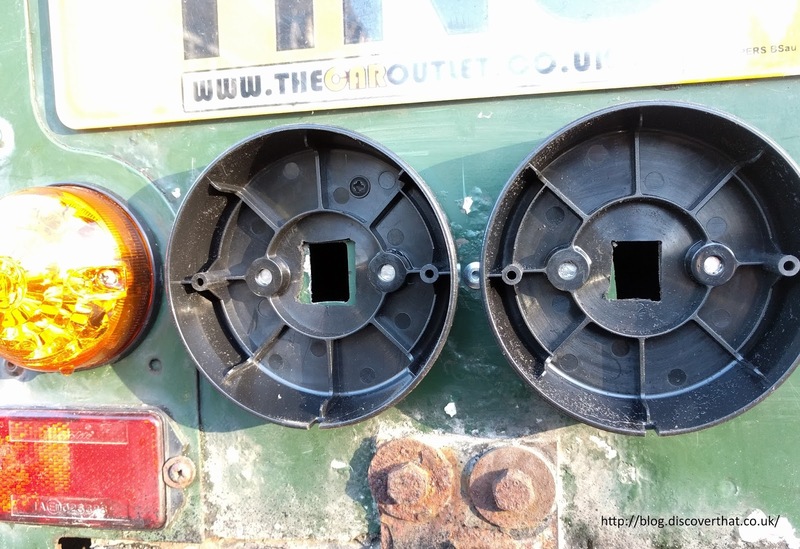 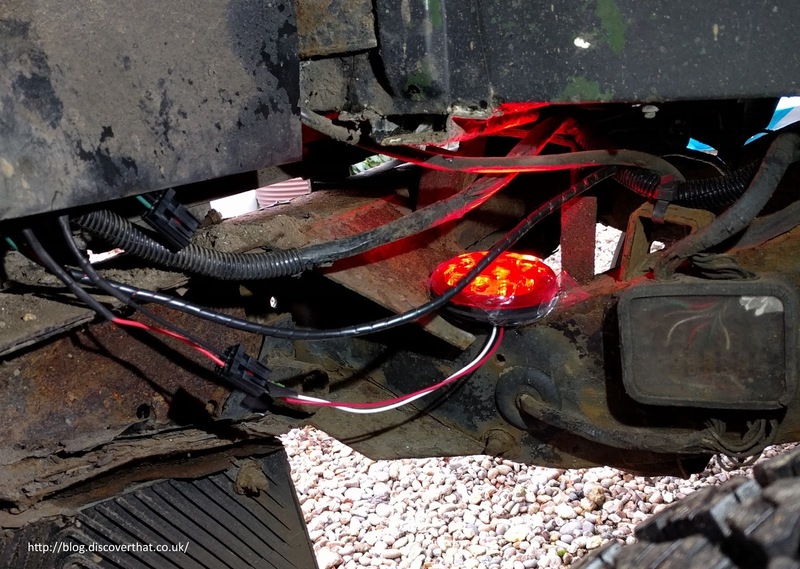 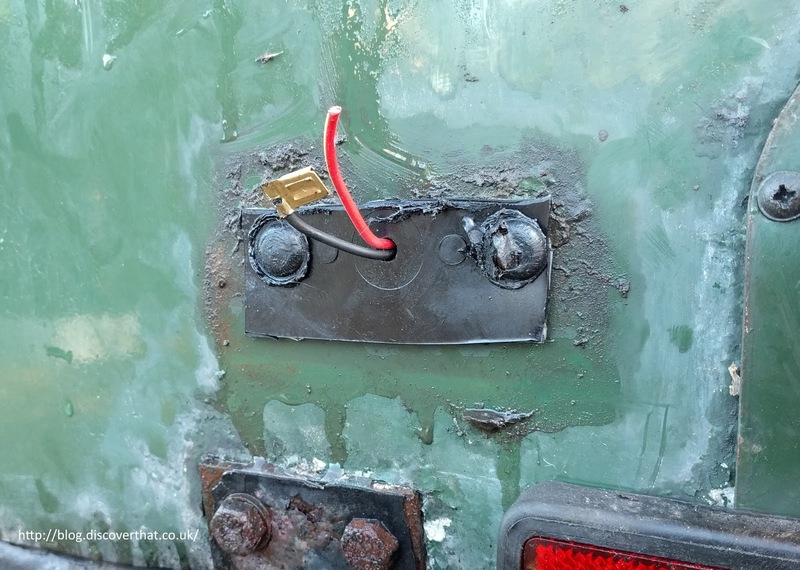 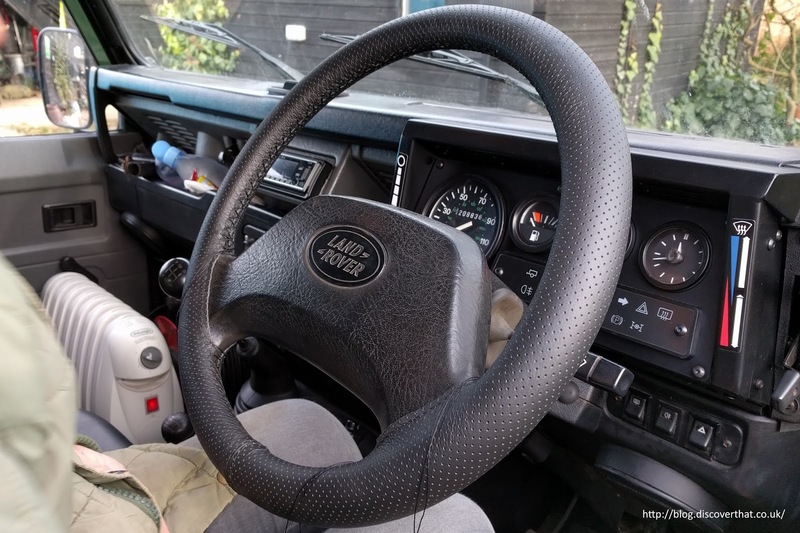 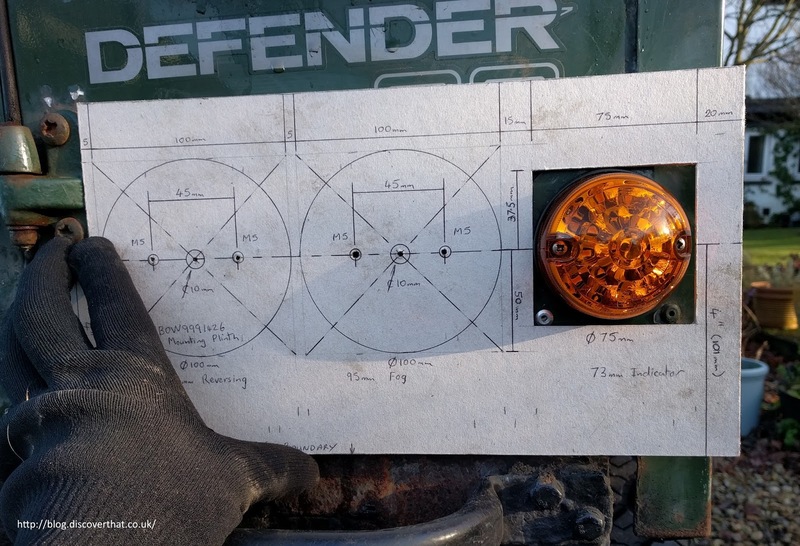 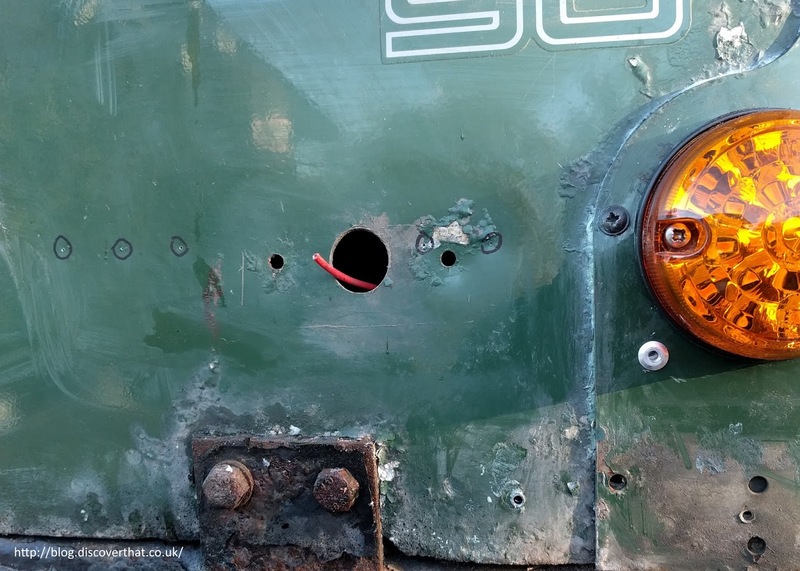 Like many cars the Defender comes with only one fog light and one reversing light. 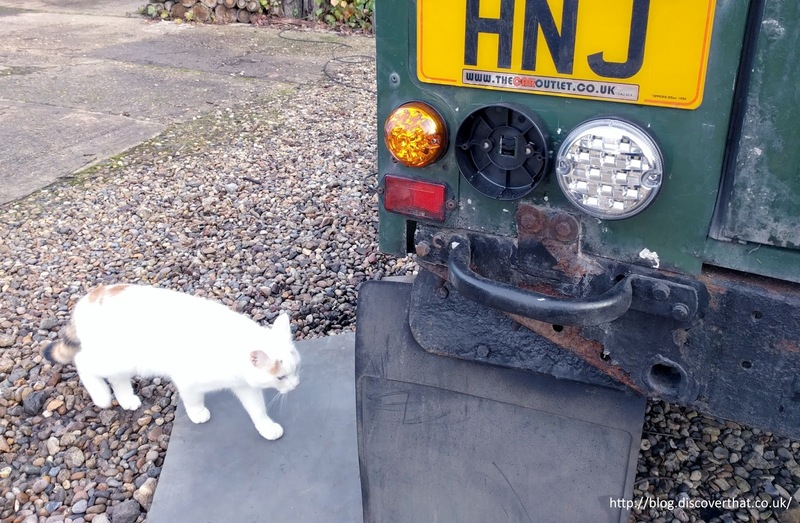 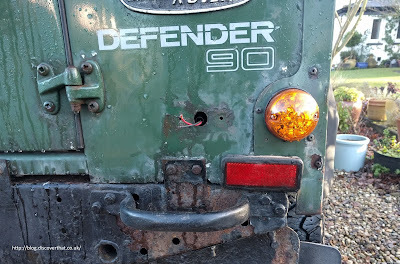 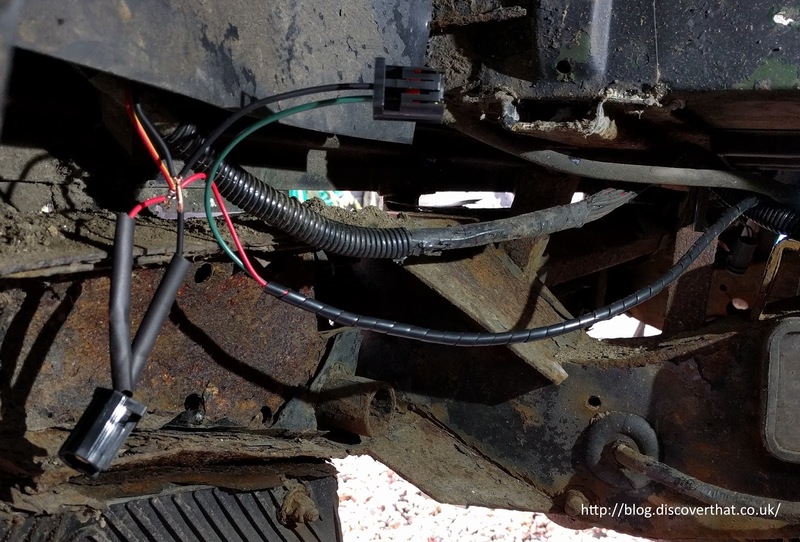 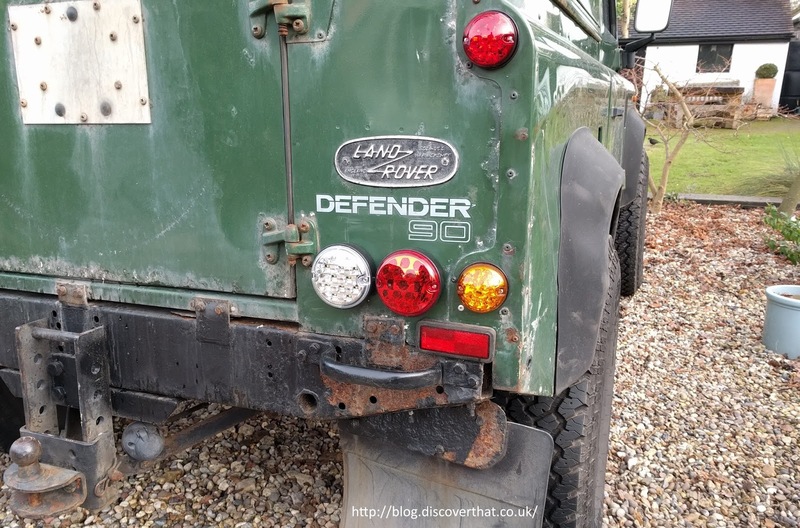 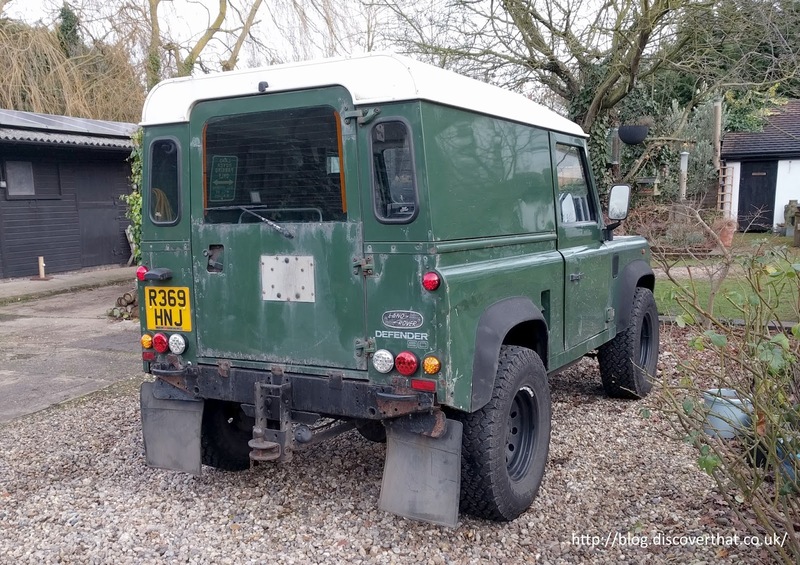 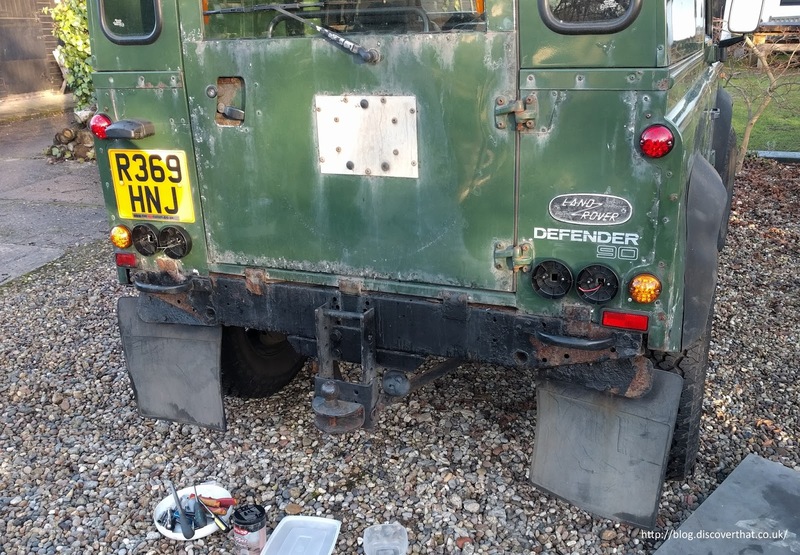 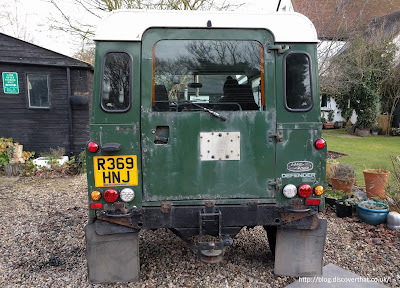 In addition the Defender lights are somewhat lacking. 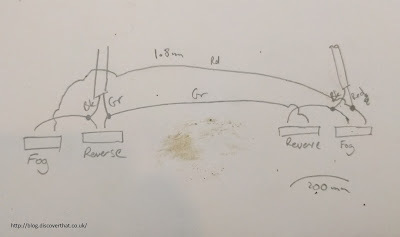 Lots of people fit additional or different lights, my take on this is to double up and fit brighter LED's. 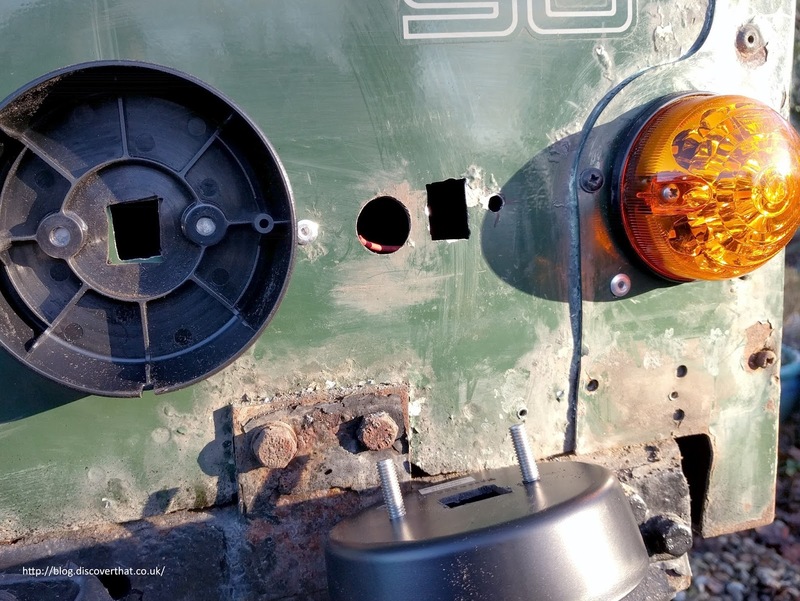 The existing lamps are a pain to remove because the plastic encased bolts just spin when you try to undo them. As with most Land Rover jobs I had to cut the old bolts out. 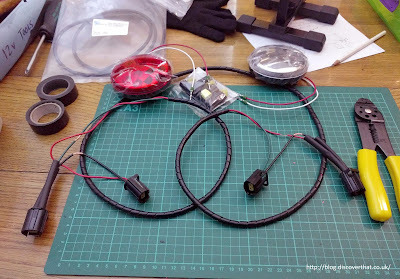 The existing lamps are attached directly to the wiring loom. 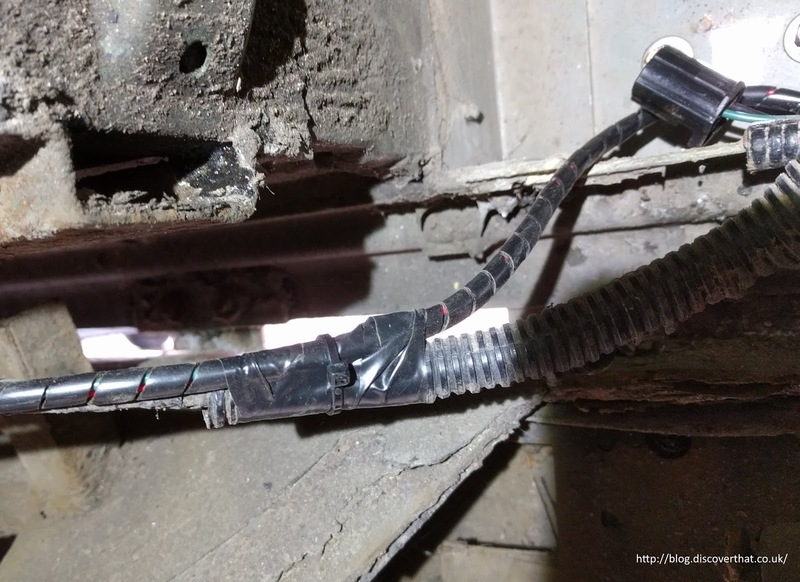 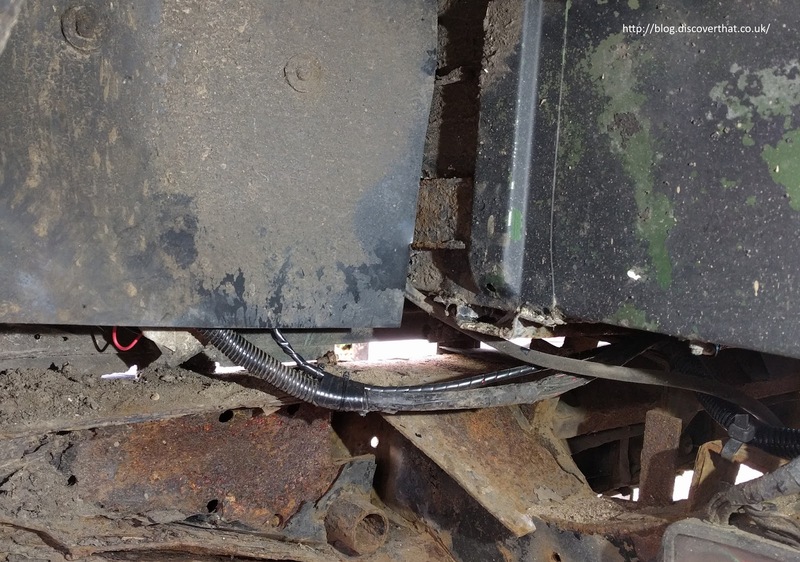 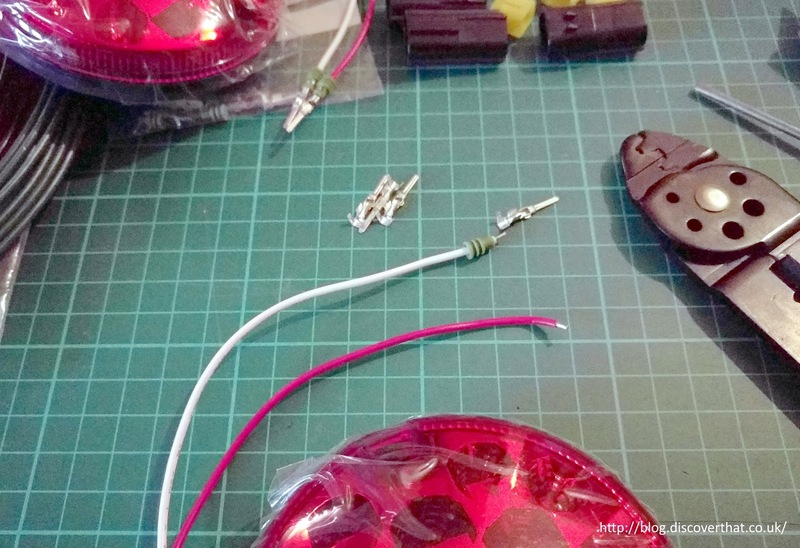 A bit of an odd design and require the ends to be cut off to remove the wires. I prefer connectors, so I fitted Econoseal connectors to each of the lamps. 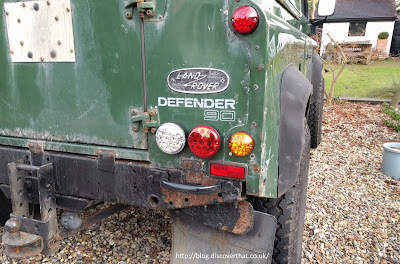 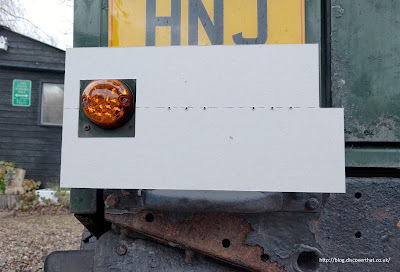 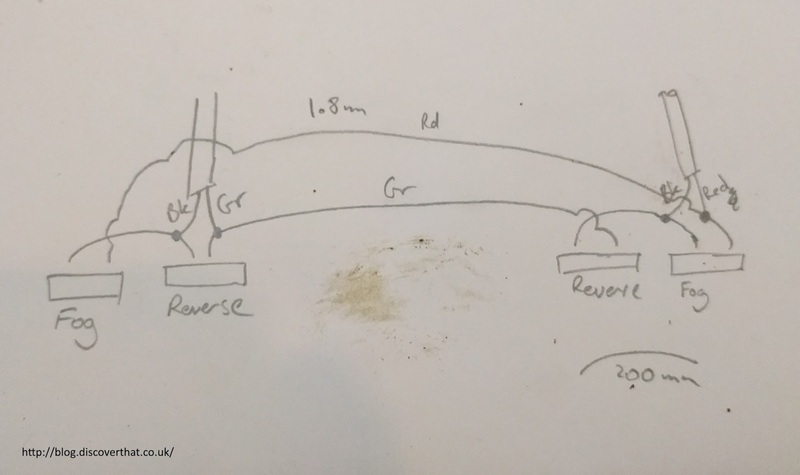 The same type used by Land Rover on the other lamps. I like my cabling neat and tidy so I've wired up a small additional loom to take the fog and reversing lights to either side. 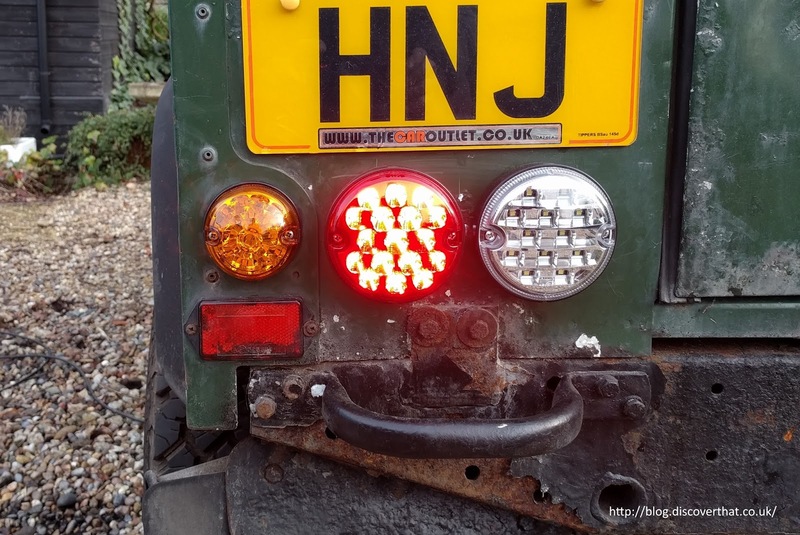 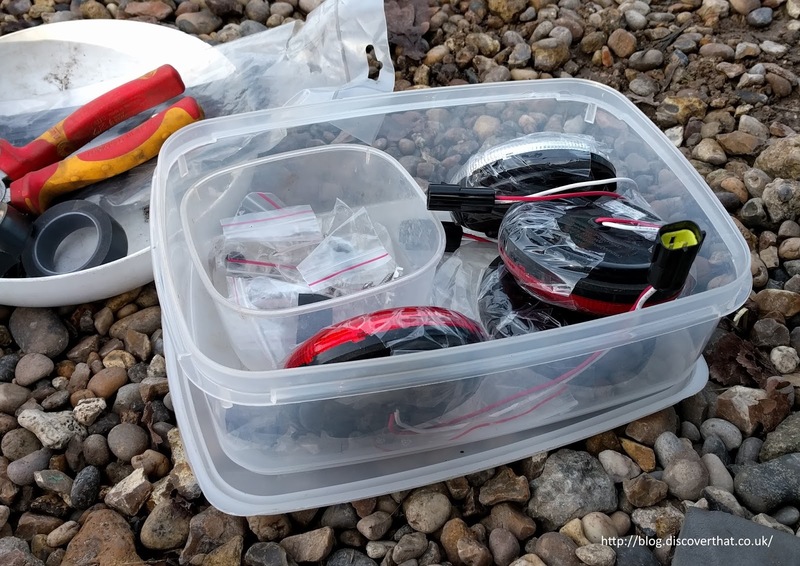 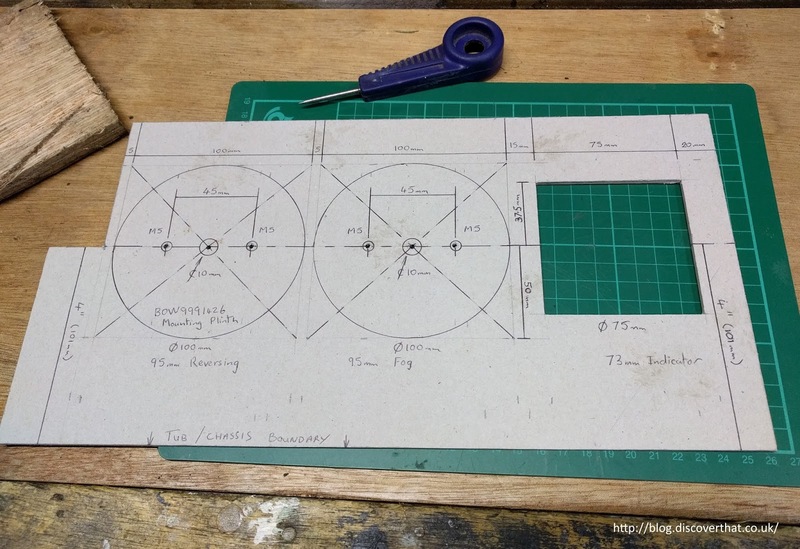 There is very little space to fit two lights on each side but with careful measurement they do go. I made a template to keep them level and symmetrical. 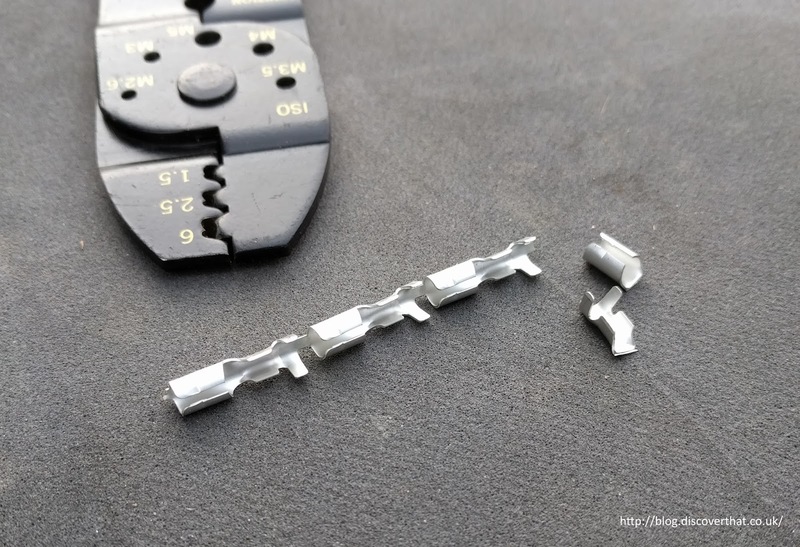 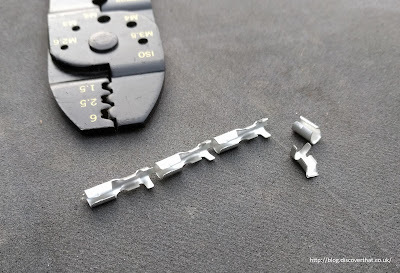 I cut a slot in the middle just large enough to squeeze the Econoseal connector through. I could have drilled a bigger hole but I wanted to keep as much metal as possible and the holes for the original lamps were close to the new lamps. 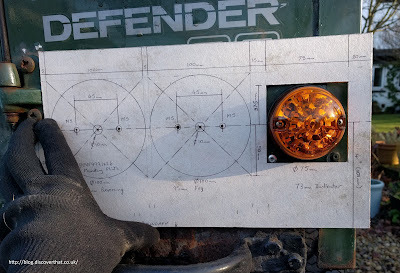 When attaching the new lamps, I had to make a plate to span the original hole because one of the bolts for the new housings fell in the middle of the old larger hole! 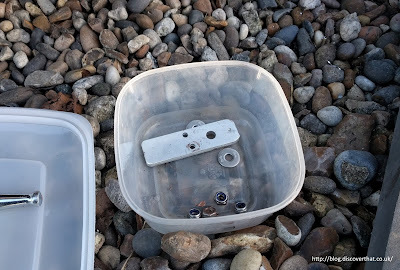 I used a self tapping screw to hold the housings level. 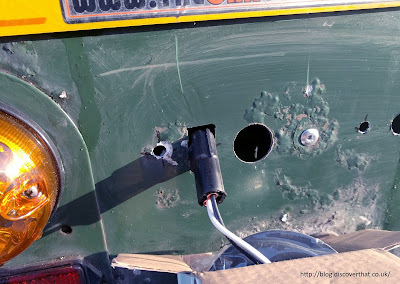 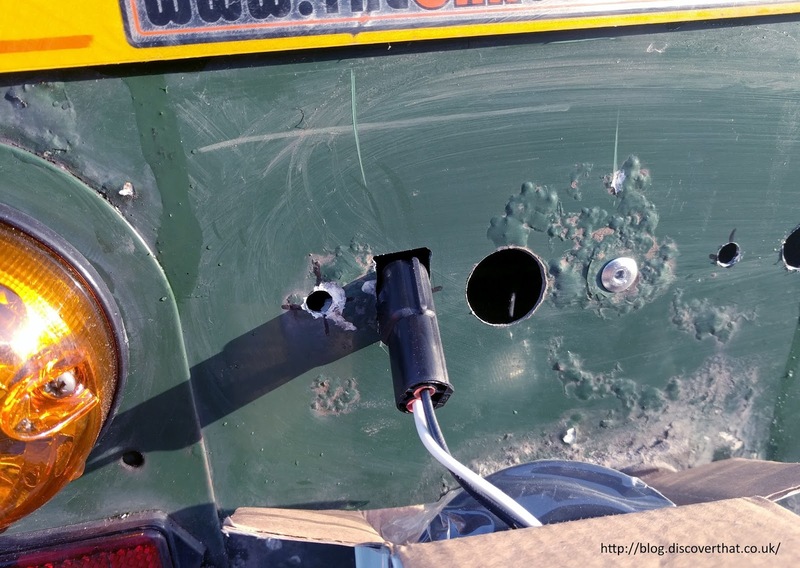 I plugged one of the smaller original bolt holes on each side with a rivet. 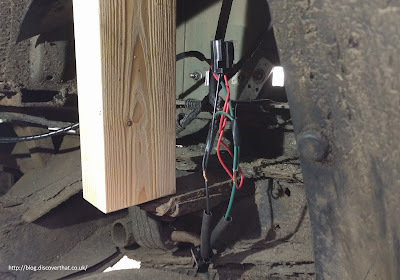 The rest of the job is just neatly attaching the additional loom to the existing loom under the car and plug the new lamps in. 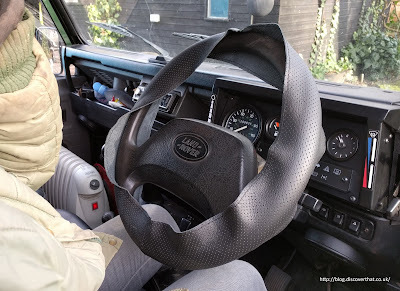 While I was doing the lights Shelley was stitching on the new steering wheel cover.